A HUGE “thanks!” to everyone who has supported us this year! Have a truly fantastic New Year! 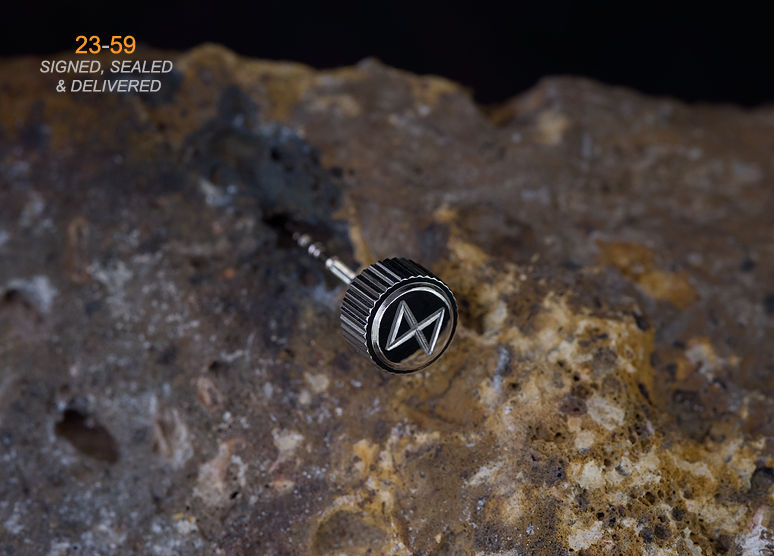 Some details appear to be emerging of the long anticipated 6159 reissue. This should get a few collectors excited though the price may yet prove a party stopper..
I’m always grateful when happy customers send in shots of their prized watches with our signed accessories and parts in situ so a big thanks to Rob for the great set of photos if his gorgeous blasted and signed 6309! Many thanks for the pic, Reynaldo! It looks awesome with the signed crown! Click on the banner ad image above, join our “Seiko Users & Collectors EU” group and collect your 20% discount code for all signed and unsigned SEIKOTIC premium oyster bracelets! This offer will run through the Easter holiday period. Worldwide shipping is included in the price! Just paste in your discount code at checkout. You may order more than one bracelet. Zelos (use the code DWFB to view) are currently taking pre-orders for what looks to be a very interesting 70s styled retro diver. 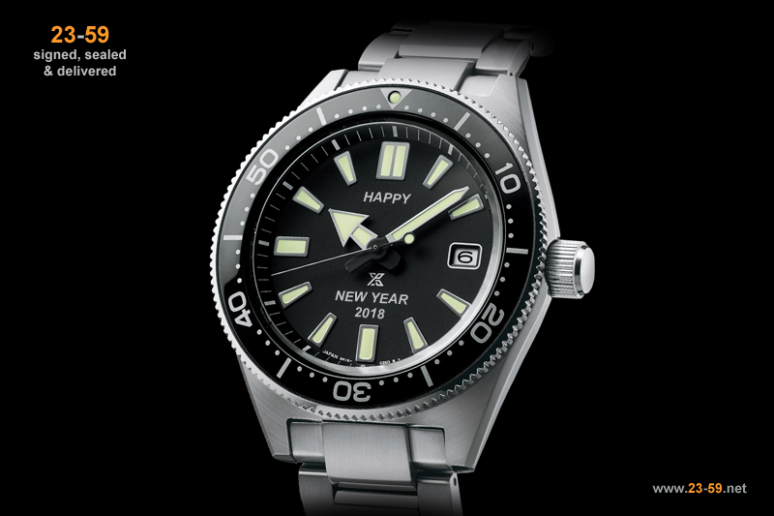 What may interest Seiko aficionados is the case and crown of this particular watch. It’s uncannily close in shape to the new 62MAS re-issue. With case dimensions listed as 41mm bezel, 45.50mm including crown, 50mm lug-to-lug, 13.60mm height, 22mm lugs it’s a similar size to the $4k SLA017.. At $479 I wonder if this watch could prove popular in the future as a base for a 62MAS mod? At 23–59 we’re all about top quality upgrades so when a customer asks us to custom sign a crown we don’t look at how cheaply we can do it, we look at how well we can do it. This art work was sent to us just over a week ago and our engraver carefully set up and absolutely nailed the result! I watched him today as he hand engraved an exchange crown that another customer had sent in and it was a real joy to watch him work and witness the pride he takes in each and every item he deep engraves for us. 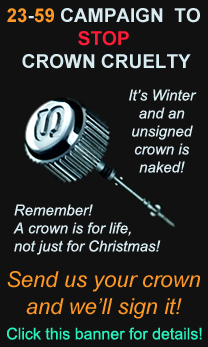 These signed crowns may not be cheap but you really do get exactly what you pay for. The image above was taken with a Nikon D700 full-frame DSLR and 105mm f=2.8 Macro-Nikkor close-up lens at f=22. At this magnification you can see every intricate detail of just how good our hand deep engraving process really is. Click on the image for a full size hi-res version. Please note that this particular artwork is similar to the symbol used by Dagaz and out of respect to Jake we would direct any future enquiries to him directly. 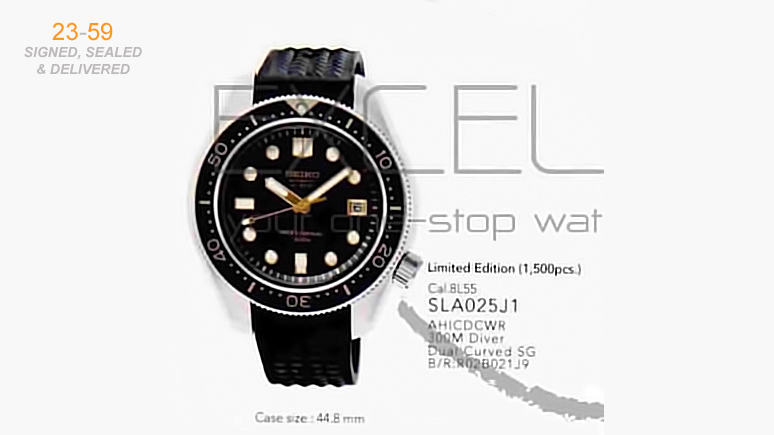 A Facebook user has just posted what he claims to be a picture from the Seiko 2017 catalogue showing two further re-issued models, this time a Limited Edition asymmetrical diver ref. SBEE001/2 by Giugiaro Design. KianHong Khoo translated the page to show the new models will house a quartz movement with day/date and be limited to a JDM run of 2000 pieces.